The Danish company bought the Spanish specialist for remote control units. Some of Ikusi’s products are CAN connectable. 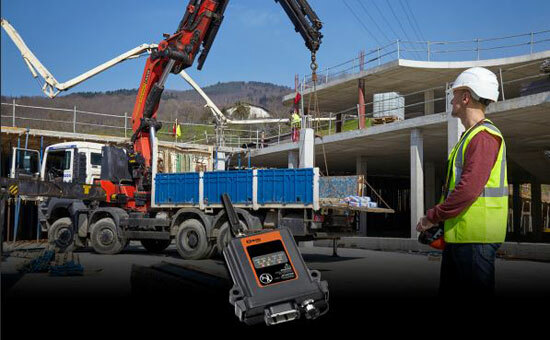 Ikusi's remote control business includes equipment and technologies for wireless operation and control of truck-mounted cranes, winches, off-road machines and other applications. The acquisition reflects Danfoss' strategic focus on the use of connectivity as a competitive advantage. “Acquiring new innovative technologies is an important part of our investments in developing our business, and I am excited about the team of experts from Ikusi Remote Control joining Danfoss. Remote controls hold a tremendous potential, and the acquisition is a great example of how we by adding new digital technology can strengthen our portfolio of advanced components and systems and offer a broader range of solutions to the benefit of our customers,” said Kim Fausing, CEO of Danfoss. Ikusi’s remote control business will be integrated into the Danfoss Power Solutions business segment. “By adding wireless remote control technology to our core competencies in Danfoss Power Solutions, we further strengthen our global position and our system offering as a part of the Plus+1 software development platform. We have a great opportunity to differentiate by offering a complete system with high focus on functional safety, best in class performance and cost-effective solutions. I look forward to welcoming the highly experienced and knowledgeable team to Danfoss and to our business. We will invest in the business in San Sebastian, which will become our center of excellence for remote controls keeping a close relationship with the community and the local university,” said Eric Alström, president of Danfoss Power Solutions. Iñaki Maiz, Managing Director of Ikusi, pointed out: “For our remote control business unit to become a business within Danfoss will enable greater specialization, more capacity and synergies for greater innovation and market opportunities.” The acquisition is subject to the necessary approvals from the relevant agencies and competition authorities. Therefore, the acquisition will be completed during the third quarter of 2018.